Lancaster Township and the City of Lancaster are served by the School District of Lancaster which has an approximate population of more than 11,000 students in pre-kindergarten through twelfth grade. There are 13 elementary schools, 4 middle schools, and one high school. Some area neighborhoods in Lancaster Township are: Buchanan Park, Conestoga Woods, Engleside, Hamilton Park, Quaker Hills, and School Lane Hills. Lancaster City has about 56,000 residents and is made up of 7 square miles. It’s geographic location is within driving distance to Washington DC, Baltimore, Philadelphia, New York, Delaware beaches and the Jersey shore. Lancaster enjoys historic preservation, plus a cutting-edge arts community with over 90 art venues. Downtown Lancaster offers a delightful assortment of over 250 boutiques, restaurants, art galleries, and performing arts and entertainment venues, including Lancaster Barnstormers Baseball and Clipper Magazine Stadium. The safe and welcoming neighborhoods reflect the cultural, ethnic, and diversity of residents. With unsurpassed choices in architecture and style, from historic homes to new downtown condos, Lancaster homes offer a great value. There are fantastic educational opportunities in Lancaster as well. Franklin & Marshall College is a residential college in Lancaster that is dedicated to excellence in undergraduate liberal education. F&M is one of the oldest institutions of higher learning in the United States. 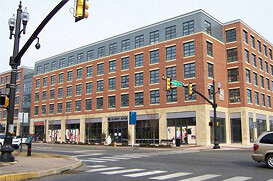 Pennsylvania College of Art & Design (PCA&D) is a professional art college offering four-year programs. Thaddeus Stevens College of Technology is a state-owned, fully accredited two-year residential technical college. The Pennsylvania Academy of Music is a non-profit pre-collegiate institution dedicated to the musical advancement of its students. Lancaster Theological Seminary is a seminary of the United Church of Christ. Lancaster General College of Nursing and Health Sciences offers eight quality programs of study. There are many parks in Lancaster Township, including Lancaster Community Park and Maple Grove. The Lancaster Recreation Commission (LRC) is jointly sponsored and supported by Lancaster Township, the City of Lancaster, and the School District of Lancaster. It is governed by a Board of Commissioners composed of representatives from each of the three entities. This commission provides activities, classes, and events for people of all ages.